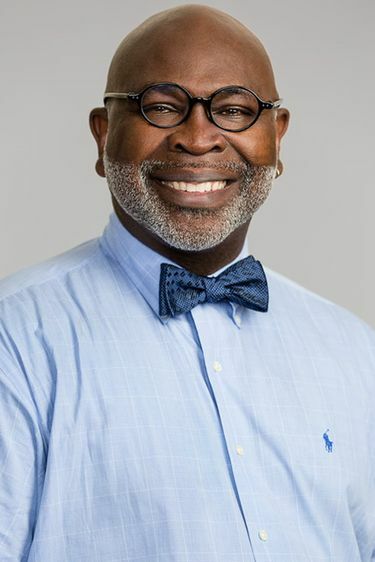 Dr. Willie Parker is Christian. He’s also a staunch supporter of women’s right to an abortion, and he travels from one clinic to another to provide the procedure. In the ever-roiling debate over abortion rights in America, Dr. Willie Parker is a singular voice. Raised in a Christian household in Alabama, Parker is a Harvard-educated OB-GYN who has been performing abortions almost exclusively for years, traveling from one clinic to another in places where he is needed the most. At the Town Hall event, Parker will be introduced by #ShoutYourAbortion founders Amelia Bonow and Lindy West and then will speak on stage with pro-abortion rights activist and actor Martha Plimpton. Parker’s support for the procedure is calm, reasonable and from the front lines. It is he in the rooms with these women, listening to them, caring for them. “As a Christian, I feel that it’s my job to help offer a counternarrative,” Parker writes. “That God gave every woman gifts, and the agency to realize those gifts, and that nothing about choosing to terminate a pregnancy or to delay childbearing puts a woman outside of God’s love. He writes of the hoops women must jump through in some states in order to have the legal procedure: Waiting periods, funding reductions and counseling (which often includes misinformation that Parker delivers, as required by state law, but then corrects. In Alabama, for example, he is required to say that abortion causes breast cancer, even though that has never been proven). And there is the issue of access. Parker has treated patients who have driven seven hours and crossed state lines for the procedure. “Abortion is the only personal decision that is subjected to this level of government oversight,” Parker writes. “ … The law requires them, like bad little girls, to ‘prove’ to authorities that they have thought carefully about what they are about to do. Parker, 54, grew up in Birmingham, the second youngest of six. His mother raised them alone on food stamps and welfare. He taught himself to read by a kerosene lamp and used an outhouse. He became the first African-American student body president at a mostly white high school, went to Harvard and became a doctor with a private practice in Hawaii, living in a penthouse that overlooked the ocean. Then he read an interpretation of the good Samaritan in a sermon by Dr. Martin Luther King Jr. and his view of abortion — a procedure he never performed — changed. Parker realized that in order to be a “Christian in practice,” he had to show compassion for all women, regardless of their needs. What happens to these women if abortion is not available? He started performing abortions exclusively, traveling from town to town — mainly in the South, where abortion providers have been chipped away by layers of laws and fund restrictions. Some people feel provoked by the fact that Parker’s values are based in his religious beliefs. Parker, who is single, wrote that he has chosen to be “a bachelor, a vagrant” so as to not bear the responsibility of putting others in harm’s way. He even had the chance to buy the house next door to his brother’s. But he didn’t because he worried that his brother’s house would catch fire if his own was bombed. And while 11 people — two of them abortion doctors — have been killed in attacks on clinics, Parker refuses to give in to fear. He takes security precautions for some events, but not all. He doesn’t think much about how his upbringing might have brought him to this work. Parker travels a lot, so he hasn’t been able to be a consistent part of a faith community. Most of his church-related activities have been invitations to speak about his work. He was recently invited to debate at a church that said the premise of his book was flawed. I asked how he would face God; if he worried what awaited him.